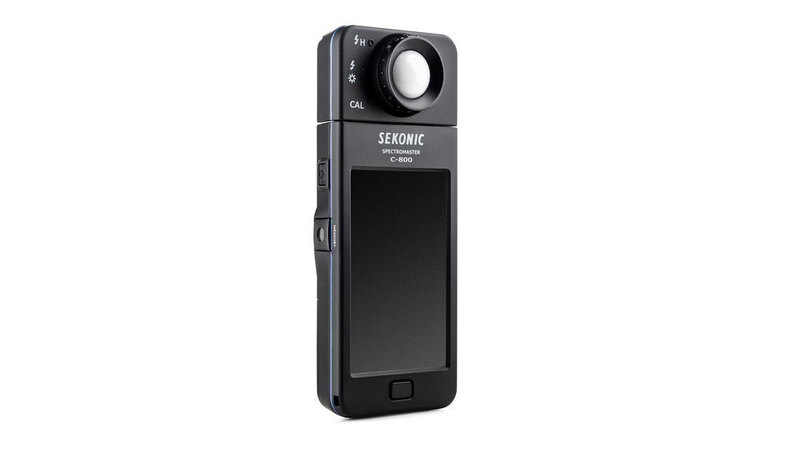 The Sekonic SpectroMaster C-800 is a full-spectrum colour meter that can precisely measure every kind of light including LED HMI Fluorescent and electronic flash. 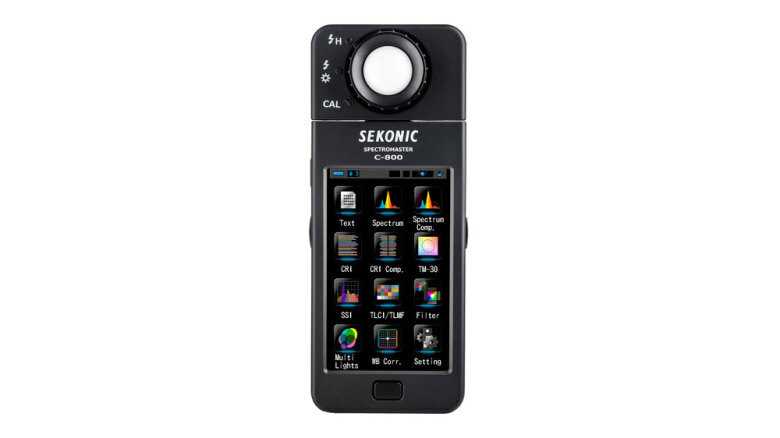 Its high-resolution measuring system featuring CMOS sensor enables capturing spikes in light source output to provide unsurpassed colour measurement accuracy. Different than any spectrometer today the C-800's direct display of values for major light source and lens filter brands simplifies correcting and modifying light colour for cleaner recording and faster post process. The New C800 has CRI, TLCI, TLMF, TM-30-15, and CRI. Currently, the only meter to have SSI (Spectral Similarity Index) developed by the Academy of Motion Picture Arts and Science and Technology Council. Now you can compare and score lights based upon their spectral similarity. With the C-800 matching the new generation of RGB, RGBW and RGBAW LED's has never been easier. The meter will give you any lights (x, y) values to measure precise chromaticity coordinates, and you can measure Hue and Saturation to get the best match from any RGB LEDs. Now matching your LEDs to any available light source, gelled or not, can now be done in seconds. The enhancements to the new C-800 show the commitment and importance of end-user input and compatibility with new and growing trends in the colour control industry. 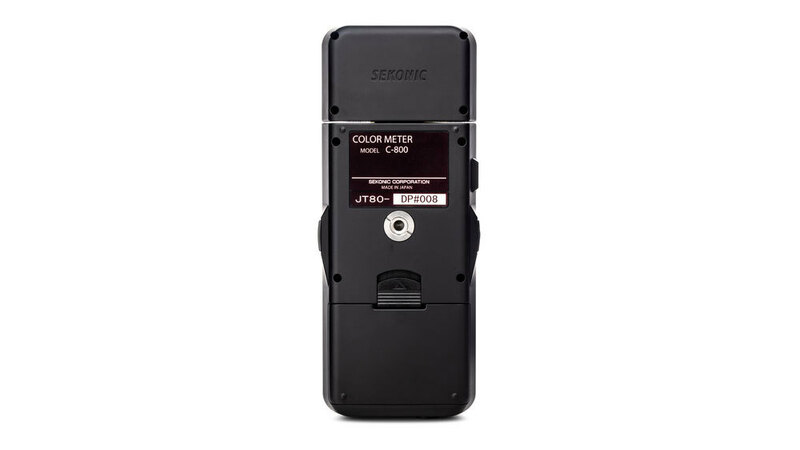 The new Spectromaster C-800 will give film-makers and photographers increased confidence with lights to render true to life skin tones and realistic colour, as well as match lights better than any other meter on the market. The C-800 will empower you to light better. 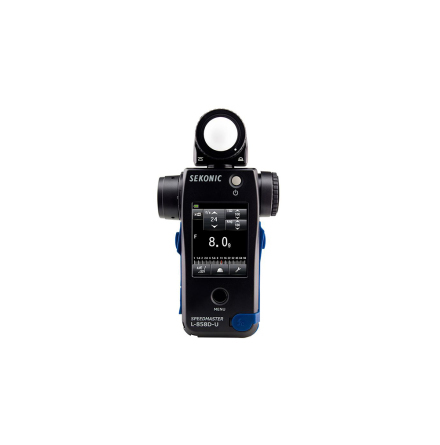 Illuminance Meter Class: Conforms to requirements for Class A of JIS C 1609-1: 2006 "Illuminance meters Part 1: General measuring instruments"
• Ambient Max. : 15 sec. • Ambient Min. : 0.5 sec. 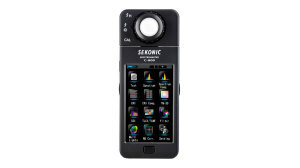 Measuring Modes: Text mode, Spectral graph mode, Spectral comparison mode, CRI mode, CRI Comparison mode, TM-30 mode, SSI mode, TLCI/TLMF mode, Filter mode, Multi lights mode, White balance correction mode.